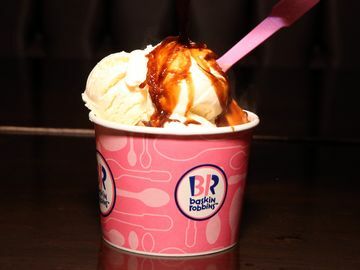 Today is National Caramel Day, and Baskin-Robbins is here to make your celebration even sweeter! Just this week, we introduced an exciting new flavor of the month OREO® ‘n Caramel. 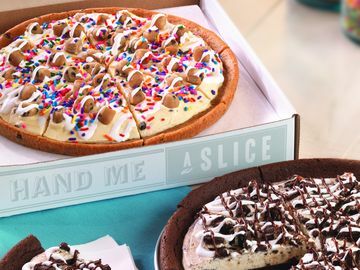 This sweet mashup combines the classic flavors of cookies ‘n cream and caramel to create a delicious flavor featuring salty caramel ice cream, OREO® cookie pieces and a smooth caramel swirl. 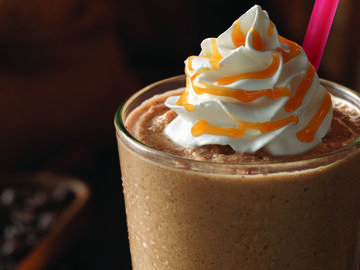 A great choice for celebrating National Caramel Day! The caramel flavors at Baskin-Robbins don’t stop at our Flavor of the Month. Check out the below list for some other awesome ice cream flavors with caramel included. Bourbon Street Pecan Pie: Bourbon butter pecan flavored ice cream crafted with roasted pecans, pie crust pieces, and a bourbon caramel flavored swirl brings signature Southern flavor to every scoop. Gold Metal Ribbon: Go for the Gold! This combo of chocolate and vanilla flavored ice creams swirled with a caramel ribbon is the champion of flavor. Made with Snickers® Bar: Buttery caramel ice cream with SNICKERS®** bar pieces swirled with a caramel ribbon. Pralines ‘n Cream: Scoop a Southern classic! Vanilla flavored ice cream loaded with praline-coated pecan pieces and a caramel swirl. 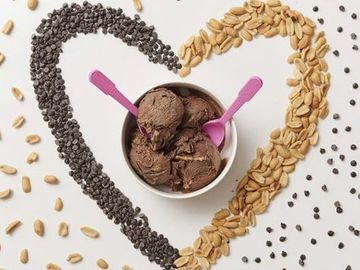 Premium Churned Reduced-Fat, No Sugar Added Caramel Turtle Truffle Ice Cream: Reduced fat, no sugar added vanilla flavored ice cream packed with no sugar added caramel-filled milk chocolate flavored turtles and a caramel swirl. 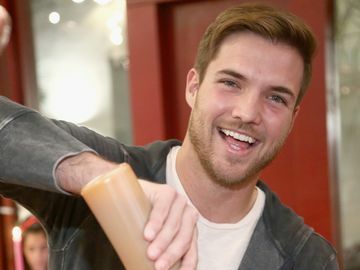 Want to take your National Caramel Day ice cream experience to the next level? Choose any of our ice cream flavors and “Make It Amazing” by upgrading your waffle cone to a fancy or chocolate-dipped waffle cone plus a topping for just $1 more. Speaking of toppings, Baskin-Robbins’ toppings bar is getting even more amazing with the addition of Sour Gummi Worms and Andes® Mint pieces to the lineup. Even those who prefer their ice cream in a cup won’t be able to resist a free fancy waffle cone sample during our Fancy Cone Sampling Day on Sunday, April 7th from 3:00 p.m. to 7:00 p.m.* Guests can stop in for a taste of “Make It Amazing” and try 1 oz. of ice cream with a fancy waffle cone chip dipped in chocolate and decorated with rainbow sprinkles. 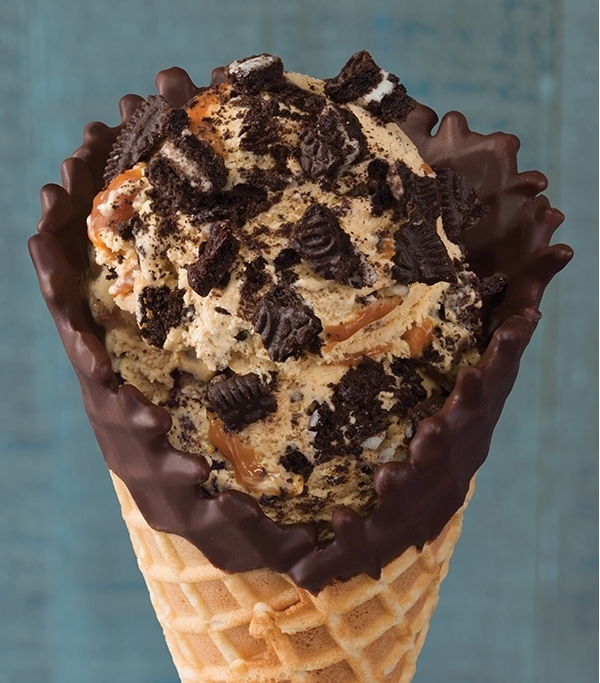 How are you celebrating National Caramel Day with Baskin-Robbins? Let us know on Facebook, Twitter, and Instagram. To find a store near you, check out our store locator! *Offer valid on April 7th from 3:00 p.m. – 7:00 p.m. at participating locations nationwide, while supplies last. OREO is a trademark of Mondelez International group, used under license. Andes(R) is a registered trademark of Tootsie Roll Industries, LLC Chicago, Illinois. How to Celebrate National Coffee Day with Baskin-Robbins!